Going to school in the summer? Thats exactly what fifth grade boys in the Northeast area are doing this week as a new charter school opens in the area. The KIPP Polaris School began classes on July 9. The school is located near the post office at the corner of Tidwell and Mesa. KIPP, says Principal Shawn Hardnett, stands for Knowledge is Power Program. The school is the second one in the Greater Houston Area. Hardnett has also opened up a campus in California. Initially, the school is open to only fifth graders. Hardnett said that he expects to start classes with between 60 and 70 students. Within the next few years he said that he would like to add sixth through eighth grade classes. 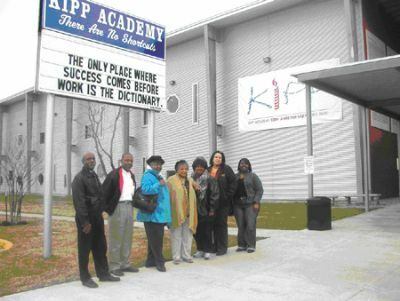 So how is KIPP different from traditional schools? Hardnett said that they run things a little differently than public schools. Starting about the same times that their fellow public school classmates, KIPP students dont get out of class until 5 p.m. Also, each teacher is on call until 9 p.m. each day if his or her students have a question. Hardnett said that classes are smaller, which provides a better learning environment. The vigorous academics taught at KIPP do not stop on Friday afternoon. Twice a month students return to class on Saturday. With the school itself located in a predominately low-income part Houston, each student who attends may well fall into the category of at-risk. Hardnett said that he prefers not to use this term but rather let the community know that any student who is willing to come and put in the work is welcome. The students are not the only ones who are asked to put in the work. Knowing the importance of an involved parent in their childs education, Hardnett requires that each student along with a parent or guardian sign a Commitment to Excellence contract promising to be an active part of their childs education. One of the first questions that parents ask is how much will they have to pay for this enhanced education opportunity. Nothing, says Hardnett. As a charter school they receive state funds like any other public school. Most of the student will also qualify for either free or reduced cost lunches. The others, he said, will pay a nominal fee for lunch. Getting started wasnt easy, Hardnett said. Since January he has been out on the streets spreading the message and recruiting students. While the new concept came slowly to some, by May and June he said that he felt recruiting was strong and that people were becoming more accepting of the concept. While the school is located within the North Forest ISD boundaries, Hardnett is quick to point out that there are no boundaries where students have to live. The 1st Annual High School Unsigned Senior Basketball Show is looking for exceptional players from ages 17-21 who still have 3-4 years of college eligibility wanting to play college basketball in Mexico. Representatives from 25 Mexican Universities will be on hand at Smiley High School to scout, and offer up to a full scholarship to one of their universities. Registration Fee: $30, Fee at the Door: $50. 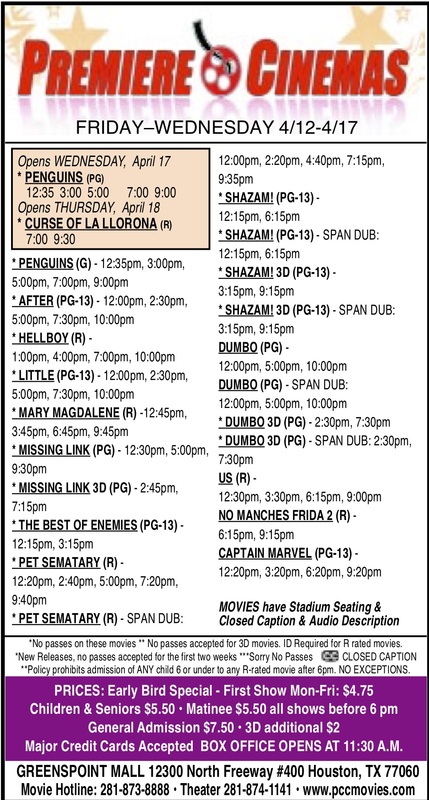 For more information and details contact Patrick Pellerin, 713-491-0949 or 832-647-7653 or email patrick.pellerin@ndcorner group.com. Below are the names of the universities attending and I have a little news on a few players who have already signed letters of intend to go and play in Mexico. Demond Palmer (Smiley HS) will be playing basketball for Universidad Metropolitana de Monterrey. Andre Johnson, Steven Smith and Kevin Thompson (all from Smiley HS) will be playing football for Universidad Autonoma de Chihuahua (UACH). List of universities that will be attending the showcase on the 26th of June. Thank you for all your help in getting this event out to the public and to help with getting some of our North Forest kids an opportunity to go to college! 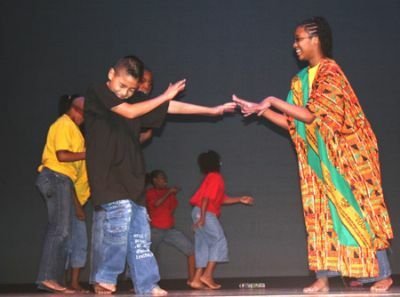 About 200 students from 11 elementary and middle schools performed at Hobby Center after working with visual and performing artists in their CASE summer after-school programs. Students danced, performed plays and demonstrated their mastery of drums. Others created a video and a multi-media quilt. North Forests Shadydale Elementary was among the schools that participated. For four weeks, students enrolled in CASE after-school programs collaborated with local visual and performing arts pro-fessions in various genres. On Kids Day, students toured the famed Hobby Center for Performing Arts and heard from theater professionals about careers in production, management and business. CASE Kids Day Projects are fun, educational collaboratives that connect after-school programs to the world of work. Events give students opportunities to work with professionals in the arts, math, science and technology. Two three-dimensional, contemporary sculptures, named Body Language and Time Piece, now adorn a public linear park near Greens Crossing Boulevard and Greens Parkway. 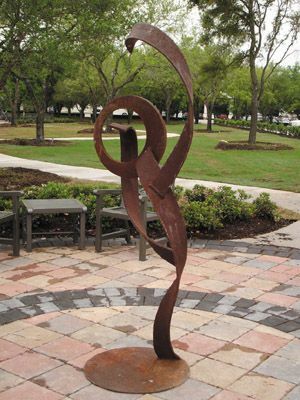 The sculptures are part of the Greater Greenspoint Tax Increment Reinvestment Zones (TIRZ) commitment to match capital improvement projects with public art. Unique in their own right, the rusted metal sculptures appear to defy the bounds of physics and establish a relationship between art and community. The sculptures serve as centerpieces for two of the four plazas located at the linear park, and showcase the newly-constructed, 600,000 square-foot business park owned by Liberty Property Trust. In addition to the public art, the park features meandering pedestrian walkways, extensive landscaping and special lighting as part of the TIRZs streetscape program. The art is by local artist Eric Ober of Ober Designworks. The sculptures are from Obers kinetic and human form series and were inspired by a number of life experiences, he said. This series continues at Greens Crossings linear park to showcase the area as a place that blends the arts with a viable location for business. Fine art creates a focal point for any community, said Ober. My diverse and specific style is designed to invoke thought and meaning through expression in the Greens Crossing area. The artwork also provides a landmark that creates an environment that the community will associate with quality and success, he added. Construction of the business park was completed in May 2007. To date, 215,000 square-feet of space has been leased, according to Joseph Trinkle of Liberty Property Trust. Houston Independent School District will receive a $148,096 award through the Transition to Teaching program to increase the pool of qualified teachers in high-need schools by recruiting non-traditional teacher candidates, preparing them through alternative routes to certification, and increasing retention through strong mentoring programs, U .S. Secretary of Education Margaret Spellings announced last week. Houston Independent School District will use this grant to start the Science and Mathematics Alternative Route to Teaching Project (SMART Project), which will recruit, train, and retain qualified mathematics and science teachers by creating an alternate certification program and by restructuring the districts hiring process. Since 2002, Transition To Teaching (TTT) has awarded 150 grants to higher education institutions, state and local education agencies, and nonprofit organizations to develop, implement, and evaluate innovative strategies in the recruitment, selection, preparation and support of highly qualified teachers in high-need schools in high-need districts. Districts must meet both a poverty and teacher qualification requirement to be considered high-need. Additionally, TTT is focused on core academic subjects at all grade levels, such as mathematics, science, special education, and English as a Second Language. Over the programs first four years, an estimated 17,600 TTT participants were hired to teach and were working in these areas. The five-year grants support recruitment of mid-career professionals, recent college graduates and paraprofessionals. Projects include strong mentoring aspects in order to retain these new teachers for at least three years, which increases the likelihood that the teachers will remain in the profession.